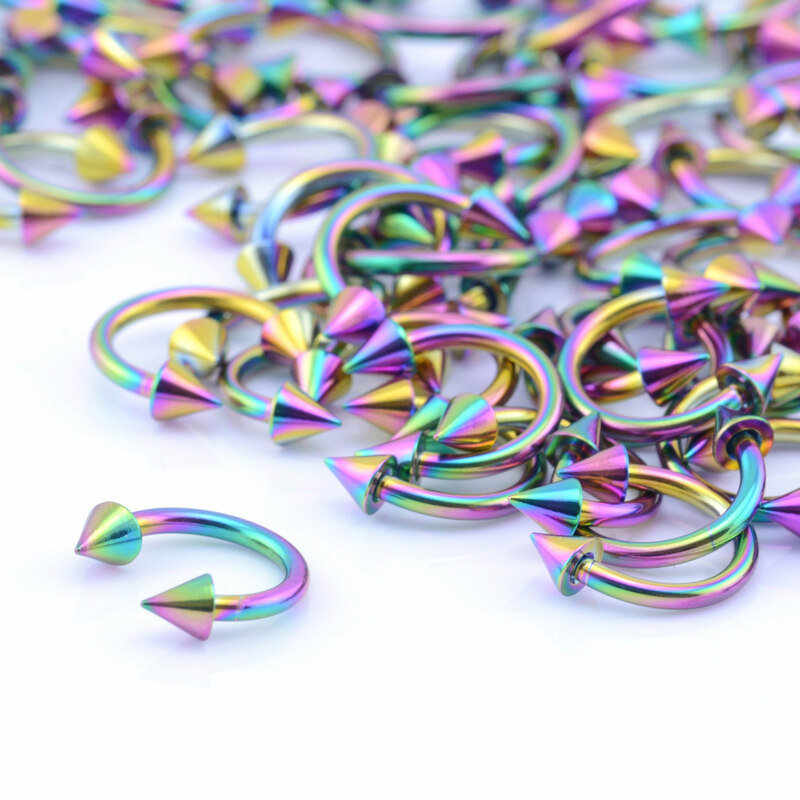 Rainbow circular barbell (CBB) often refered to as horseshoe bars, come in a veriety of materials from PTFE, 316L steel & titanium. 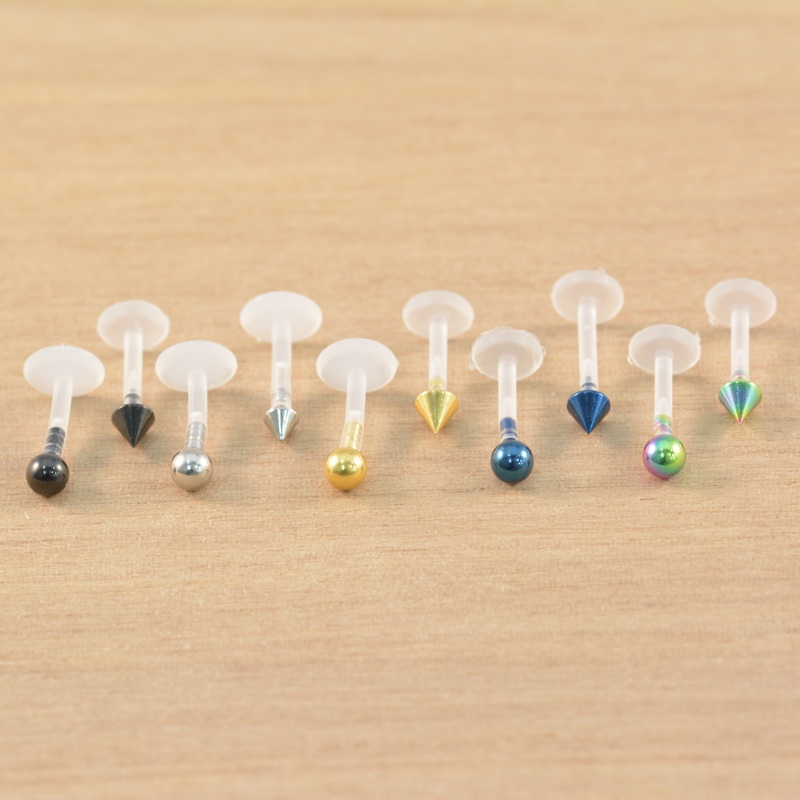 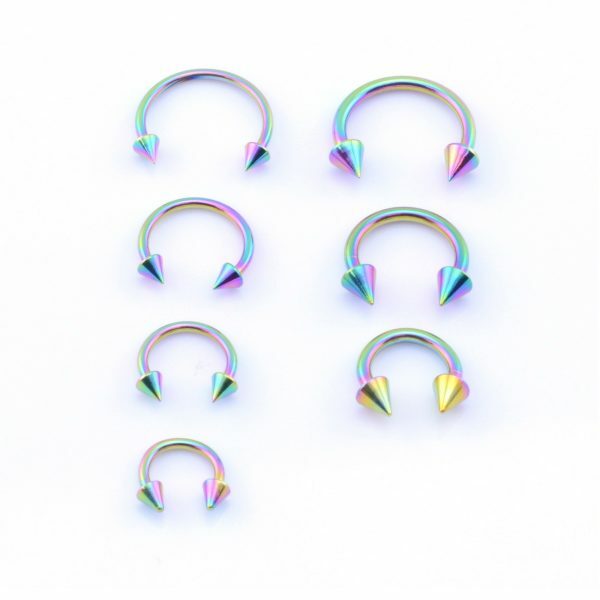 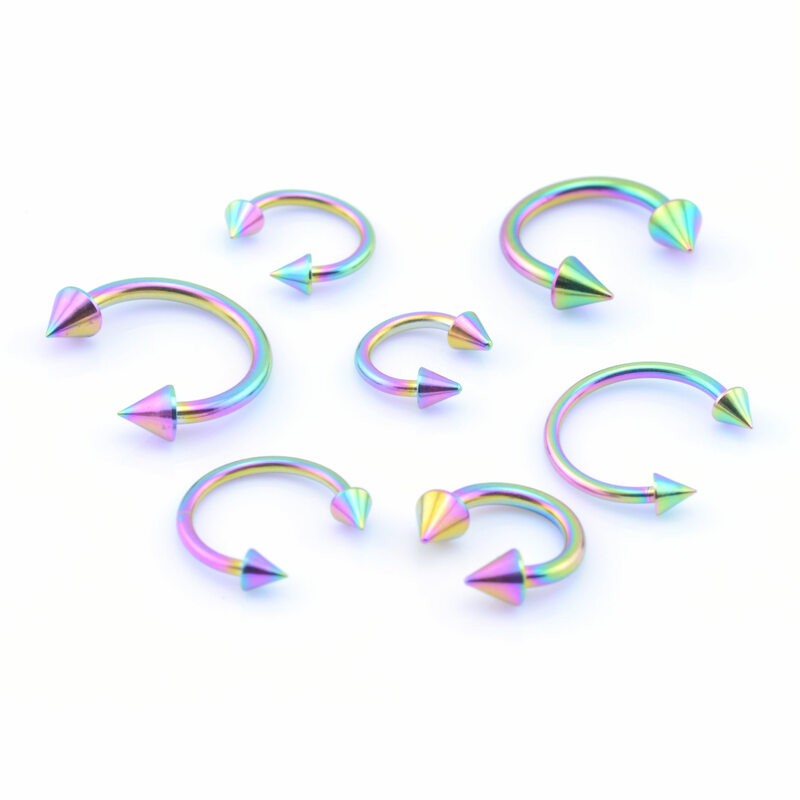 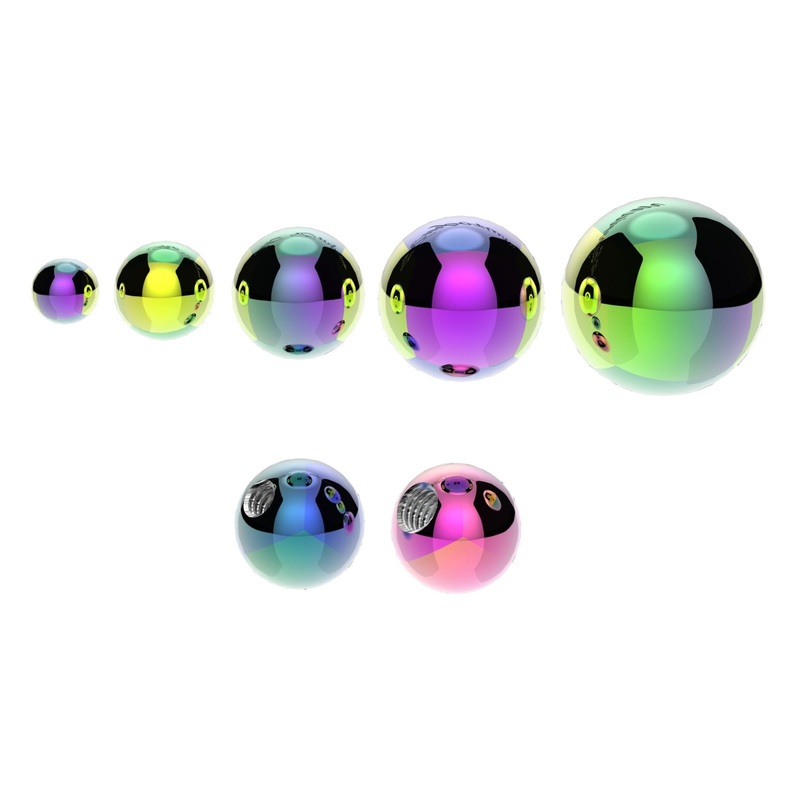 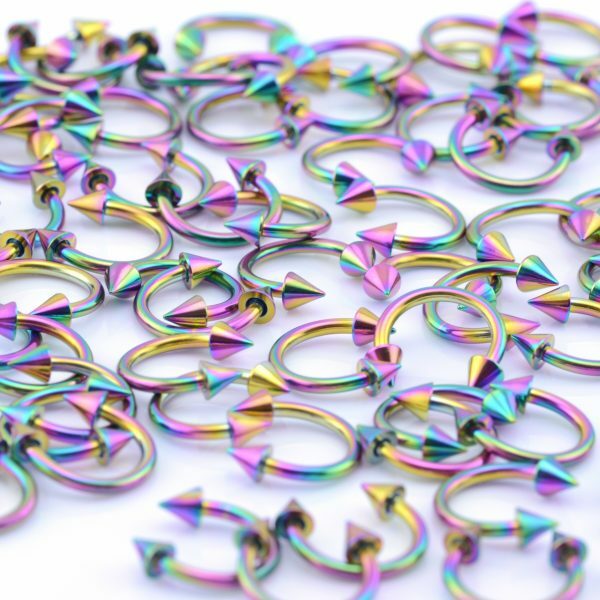 Available in a number of finishes such as high polish steel, anodized black, gold, rainbow, rose gold and multiple options for end pieces such as balls & cones and even with gems. A highly customiseable and versatile piece of jewellery suitable for use in a veriety of locations.